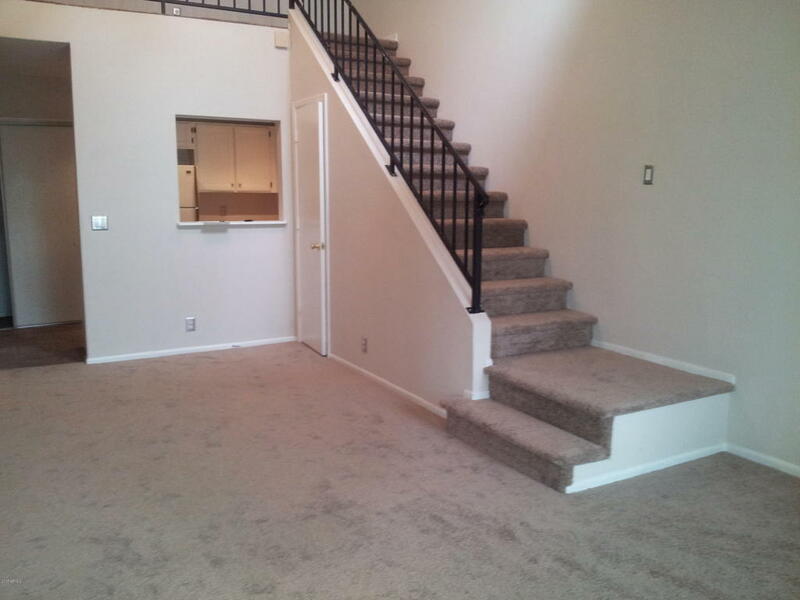 Great 2 bedroom 2 bathroom unit in the widely desired Scottsdale Trails community. This unit features an open living plan on the 1st floor with a single bedroom and soaring valeted ceilings. Two tone paint throughout. The entire 2nd floor is the master suite complete with a double sink vanity, crown molding walk in closet, and private balcony. Full size washer and dryer. Spectacular location with easy access to Old Town, loop 101, loop 202, sky harbor, hiking and more. Very attractive community includes a pool and hot tub.